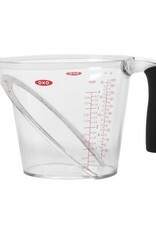 OXO has revolutionized liquid measuring with our Good Grips Angled Measuring Cups. A patented angled surface lets you read measurement markings by looking straight down into the Cup and eliminates the need to fill, check and adjust the amount of liquid you are measuring. The handle is soft and non-slip for a firm grip. 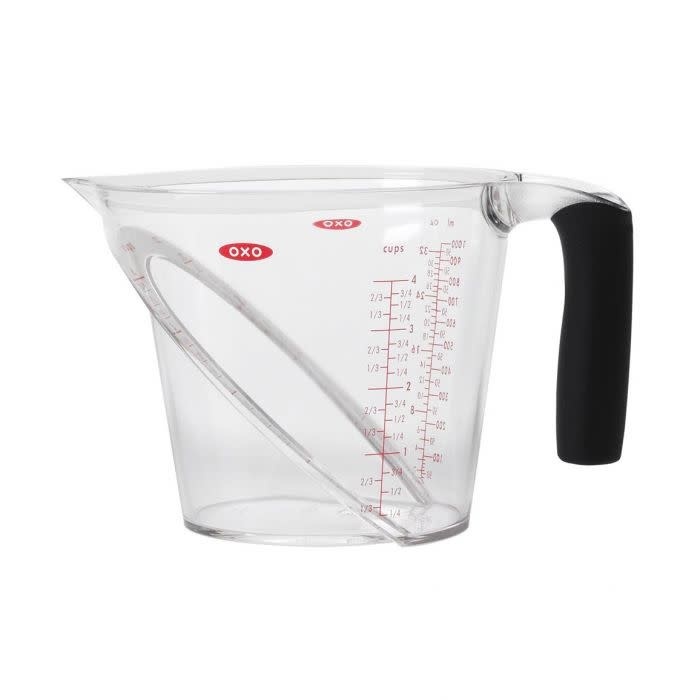 The bright measurement markings in convenient cup, ounce and milliliter denominations accommodate any recipe. Available in 1-Cup, 2-Cup , 4-Cup and 8-Cup versions. All Cups are dishwasher safe and BPA free.